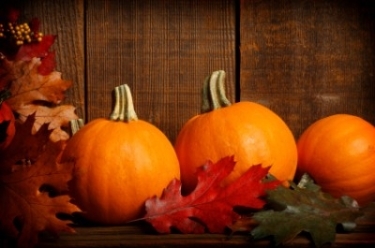 Pumpkins are the most popular fall decoration. You will find them for sale in grocery stores, at fall festivals, and in local pumpkin patches. It can be difficult to figure out which pumpkin to pick. The way to pick the perfect pumpkin depends upon what you intend to do with it. You can get a lot of food from your pumpkin if you know how to do it. Baked pumpkin seeds are tasty. You can use the pumpkin “meat” to make pumpkin puree. That can be used in pumpkin pie, pumpkin cheesecake, and pumpkin soup. If you plan to cook a pumpkin, you should look for a small one. It needs to fit into your oven or crockpot. You will need to remove the stalk and cut the pumpkin in half in order to bake it in your oven. (Remove the pulp and seeds first). If you are going to use your crockpot, you need to be sure the cut pieces of pumpkin will all fit inside of it. Many people enjoy carving pumpkins and using them as fall decorations. People hold pumpkin carving parties when it gets close to Halloween. Carved pumpkins are the most popular type of Halloween decoration. Will you be carving your pumpkin? If so, then you need to look for a large pumpkin that is sturdy and does not show any signs of rot. If your plan is to carve it right away, then you can go ahead and do that. Keep in mind that carved pumpkins tend to rot much faster than ones that have not been carved. You might need to purchase a replacement pumpkin later on. Would you prefer to wait to carve your pumpkin? It would be a good idea to wait to make your purchase until the first week of October. Store the pumpkin outdoor in a cool, dry, place. Pumpkins that have been painted with a funny face, an interesting design, or a Halloween inspired image, are cute and make fun decorations. Painted pumpkins are great to put on your desk at work. In general, people choose to paint small pumpkins. Choose pumpkins that fit into the palm of your hand. You can find them at the grocery store. Avoid pumpkins that feel soft and select ones that have a smooth, firm, surface. Acrylic paint works best for painting pumpkins. It is water soluble and can be easily removed if you make a painting mistake and want to start over. As summer turns into autumn, and the weather changes, people start wanting to wear sweaters and woolen socks. This may seem like a simple solution for coping with cooler, and then cold, weather. That being said, people who are vegan might wonder whether or not wool is considered to be vegan. Vegan.com has a definition for the word vegan. “The word vegan refers to a food or material free from any animal products: no meat, milk, eggs, honey, wool, goose down, or leather.” It goes on to note that animal-derived byproducts, such as whey, lard, or gelatin, are not vegan. From this definition, we can conclude that wool is not vegan. Wool comes from sheep, alpacas, or goats. It comes from the hair that these animals grow naturally. This means that wool is an animal byproduct. If something comes from an animal – then it is not vegan. People who are vegan choose a lifestyle that avoids animal mistreatment and slaughter. This important concept connects directly to wool. Many people mistakenly believe that when wool is harvested from an animal that it is the equivalent of the animal having a haircut. That might be true with some small farms, but is generally not the case. Since the time when sheep were domesticated, humans started breeding sheep that produce extremely thick coats. Those coats are sheered off to harvest the wool. Some farms are not very kind to their animals when this happens and actually cause them harm. In addition, sheep can end up with too thick a coat in hot weather or no coat in cold weather. Wool can be found in many types of clothing. This includes sweaters, socks, and other winter clothing that is intended to keep people warm. It can also be found in business suits, upholstery, carpets, and even in the stuffing of some mattresses. 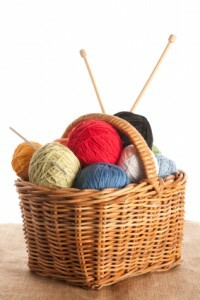 Some types of yarn are made of wool. There seems to be some debate about whether or not it is ok for a vegan to buy a used sweater, that is made out of wool, from a thrift store. On one hand, it is still wool, and some feel that this means vegans should not use it. On the other hand, some feel that the damage to the sheep has already been done. They note that buying a wool sweater at a thrift store doesn’t cause additional harm to an animal, and that it also doesn’t give money to the wool industry. Ultimately, each person needs to decide for themselves whether or not they want to wear used wool. There are times when complaining on the internet results in changes. Such is the case with the pumpkin spice latte from Starbucks. Last year, there was a controversy because it didn’t actually contain any pumpkin. 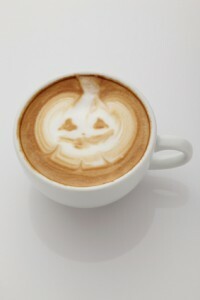 This year, real pumpkin has been added to the drink. Last year, a well known food blogger complained a lot about Starbucks’ pumpkin spice latte. Not all of her claims about it were scientifically accurate, but she was right about one thing. There was no actual pumpkin in the pumpkin spice latte (PSL) from Starbucks. One could argue that the name of the popular drink was appropriate because it truly did contain the spices that one would expect to find in a pumpkin pie. On the other hand, it is reasonable to assume that a beverage with the word “pumpkin” in its name would contain at least some real pumpkin. Starbucks has responded to the complaints about the lack of pumpkin in the PSL drinks by making some changes. One was to add pumpkin. The other was to remove the caramel color. It is unclear exactly why Starbucks removed the caramel color. It might be due to the complaints of the well known food blogger, who mistakenly thought caramel color caused cancer. Starbucks has not officially stated why it made that particular change, so we are left to speculate. You can decide for yourself if this new version of the beloved PSL is for you. A quick glance at the internet shows that there is a group of people who are strongly opposed to the changes that have been made to the PSL. There is also a group of people who are happy about the changes. In addition, there is a third group of people who want Starbucks to remove a specific allergen from the PSL. This is unlikely to happen, especially since there has been a call to have the dairy, the nutmeg, the annatto, the citric acid, and the caffeine removed. Buying eggs at the grocery store has gotten more complicated in recent years. 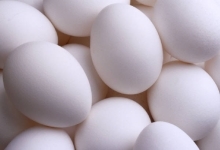 When you were a child, your parents probably looked at the brand of the eggs and the price. Today, there are a lot of other labels to be aware of. Do you understand the difference between free range and cage free? What about all those other labels? The Food and Drug Administration (FDA) has not developed a definition for the term natural (or its derivatives) on a food label. In general, it allows the use of the term on a product label if the food does not contain any added color, artificial flavors, or synthetic substances. The word natural evokes a feeling of purity and wholesomeness. Some foods with that label are better than others. Natural doesn’t always mean that the food hasn’t had something added to it. Cage-Free on an egg carton label describes a little bit about how the chickens who laid those eggs were treated. Cage-Free indicates that the chickens were uncaged. Those chickens did not spend their entire existence in a small cage. They were able to freely walk around, nest, and engage in other normal chicken behaviors. The thing to be aware of with the cage-free label is that it doesn’t automatically mean that the chickens were allowed to have access to the outdoors. They might be freely walking around in an indoor environment. That indoor environment could be small. Free Range can also be called Free Roaming. The terms are interchangeable. These descriptions on an egg carton label describe how the chickens who laid those eggs were treated. Free Range, or Free Roaming, chickens were uncaged. They were able to walk around freely, and engage in nesting and other normal chicken behaviors. The difference between Free Range/Free Roaming and Cage-Free is simple. Cage-Free chickens may or may not have been allowed access to the outdoors. Free Range/Free Roaming chickens did have access to the outdoors. It doesn’t say much about what that outdoor environment was like. When you see the phrase Pasture Raised on an egg carton label, it means that the chickens who laid those eggs were raised in a pasture. These chickens did not have cages. They spend most of their time outdoors. At night, they were brought inside so they could sleep in a protected environment. The word organic on an egg carton label can be a bit confusing. It doesn’t specifically describe the eggs at all. Instead, it indicates that the chickens who laid those eggs were fed with certified organic feed. It also means the farmer’s practices have been certified as organic. People who enjoy eating healthy have probably heard about superfoods. It has been said that these foods are more powerful than others. Sometimes, they are also more expensive than other fruits and vegetables. What are superfoods? Are they really superior to healthy foods that haven’t been given that label? LiveScience describes superfoods as foods that are thought to be nutritionally dense and especially good for a person’s health. These foods mostly consist of plants but can also include some fish and dairy. Some foods that have been called superfoods are blueberries, salmon, kale, and acai. The American Heart Association points out that there is no standard criteria or approved list of superfoods. The foods that have been called superfoods are healthy foods. However, they aren’t super powered or significantly healthier than the other foods that people would count as healthy foods. The American Heart Association notes that superfoods cannot cure chronic diseases. You can eat all the blueberries you want to, but doing so is not going to magically solve a health problem. Superfoods are not bad for you. They also aren’t miracle workers. One of the reasons why we are hearing the word superfoods a lot has to do with marketing. For example, in the early 20th century, the United Fruit company advertised the banana as a weight loss promoting superfruit. As a result, people chose to go on a banana and milk diet. This same pattern has been used to market other foods to consumers. Call something a superfood, and people become more inclined to purchase that food. In 1988, the Oregon blueberry harvest was 17 million pounds. 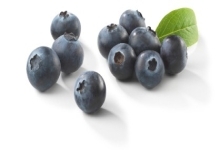 By 2013, blueberry production increased to 90 million pounds. The reason is because blueberries had been marketed as a superfood. The European Union (EU) banned the use of the word superfoods in 2007. The reason was that nutritionists had pointed out that there are no proven benefits of superfoods as compared to other foods. As such, the EU banned the use of the word superfood unless it is accompanied by a specific authorized health claim that explains to consumers why the product is good for their health. What should consumers take from all this information? The foods that have been called superfoods are healthy choices. They are definitely not junk food! If you enjoy a food that happens to have been given that label, go ahead and keep eating it. The thing you need to realize is that superfoods aren’t significantly different than other healthy foods. 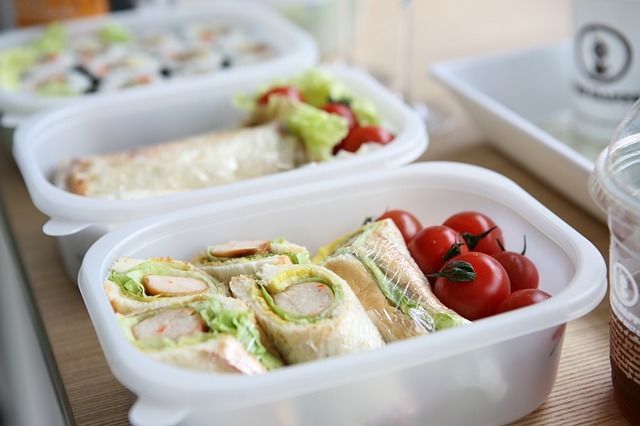 Want to ensure that you kids are eating healthy lunches at school? There are plenty of ways to help make that happen. Parents can be choosy about what they put into their children’s lunches and substitute healthy food for junk food. Or, parents can have their kids purchase a healthy lunch from their school. Are your kids asking for junk food to be placed in their school lunch? Parents can substitute healthier foods instead. Choose something that has close to the same taste and texture as the junk food they desire. Instead of buying Lunchables, parents can put together their own version. Most Lunchables consist of crackers, small slices of cheese, and small slices of lunchmeat. Put together a home made version of Lunchables by selecting crackers, cheese, and lunchmeat that are healthy. For example, give your kid cheddar cheese, organic crackers, and lunchmeat that doesn’t include a bunch of extra chemicals. There is now a wide range of substitutions for potato chips. Offer sweet potato chips instead. Get a bag of veggie chips that includes chips made from potato, spinach and carrots. These kinds of chips are crunchy, colorful, and a lot less salty than typical potato chips. Another option is to select one of the varieties of chips that don’t contain potato at all. Today, there are chips made from beans, hummus, pitas, bagels, and chickpeas. Be careful when selecting juice boxes. Read the ingredients and find out how much sugar is in them. People assume all juice boxes are equally healthy – but that is not so! Instead of a juice box, parents can purchase a small thermos that will fit into a lunchbox or lunch bag. Fill the thermos with a juice that isn’t so sugary. Or, fill the thermos with water and help your kid stay hydrated. Make fruits and vegetables easy to eat – and your child will eat them at lunch. Grapes are bite sized. Banana chips are easy to eat. Other good selections include baby carrots, cherry tomatoes, and fruit snacks that are organic or made by a company that doesn’t add a ton of junk to the product. The lunch your kid can buy at school today is a whole lot healthier than what you were offered when you were his or her age. The Healthy, Hunger-Free Kids Act of 2010 ensures that students are offered both fruits and vegetables every day of the week. The Act has increased the offering of whole grain-rich foods. Kids are now offered only fat-free or low-fat milk. The lunches now have a correct portion size based on the age of the children. There has also been a reduction in the amount of sodium, sugars, saturated fats, and trans fats in the school lunches. It has been said that breakfast is the most important meal of the day. The heat of summer can make some people not feel like eating. The solution to this problem is to find breakfast foods that are natural, nutritious, and that don’t require cooking. These quick breakfast ideas can also come in handy after school starts up again and you are pressed for time in the morning. Granola is a good choice. It’s super simple to eat no matter where you go. It doesn’t require any cooking. Pick a good one, and it will provide you and your family with some nutrition. Look for granola that contains plenty of dried fruits and nuts. Avoid the ones that seem to be filled with candy. Not finding a granola mix you like at the store? Consider making your own mix. Shop at a store that sells dried fruits, nuts, and other healthy food in bulk. Select exactly what you want. This option is great for people who need to work around food allergies. Want to add extra nutrition to your granola? Eat it with yogurt. Some people like to mix their granola into their yogurt. 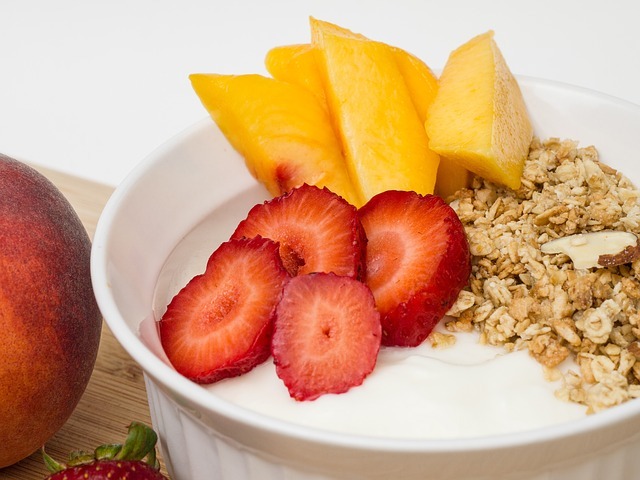 Others prefer to eat granola and yogurt at the same time, but not mixed together. Buy some frozen strawberries, cherries, and blueberries. Put some of each into a blender. Add some ice cubes and some milk (or soy milk, or coconut milk, if you prefer). Add a banana if you want to thicken up your shake. Within minutes, you have created a cold, refreshing, nutritious breakfast that feels like a treat. Best of all, these homemade shakes aren’t filled with cane sugar or high fructose corn syrup. Their sweetness comes from fructose. Real Simple suggests that you make a breakfast from some sliced fruit, sliced cheese, and walnuts. Specifically, they point out that sliced apples, and sliced or cubed cheddar cheese go nicely together. Walnuts add some fiber and protein to the meal. This simple meal can be “picked at” while a person is traveling (on vacation, or on their way to school). Small, cold, bites of food can feel lighter than a plate of eggs and french toast. Need a quick breakfast while you are on the go? You can pick up a fresh piece of fruit in any grocery store, in some convenience stores, or even a Starbucks (if you want a banana). Small packets of unsalted nuts are another healthy option. Split a package of crackers and a small block of cheese with someone else. Summer is a great time to get outside and check out the many events that are going on. The nice weather may inspire you to get out of the gym and exercise outdoors. It is important to remember to stay hydrated, especially if you will be outside in hot, humid, weather. People often forget to drink enough water. Here are some tips to help you to stay hydrated. The American Heart Association says that the answer to that question can vary from person to person and based on climatic conditions, clothing, and how hard a person is working out. People with certain health conditions may need more water than others. * Are you thirsty? That generally means that you have already become dehydrated. * What color is your urine? People who are properly hydrated have pale or clear urine. If your urine is darker than that, it means you need to drink more water. * Are you sweating? 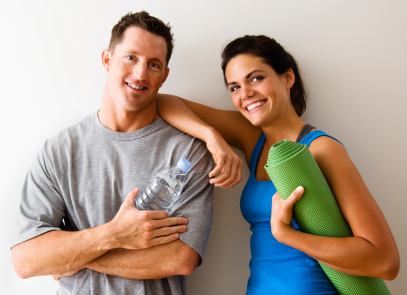 If you are working out, but not sweating, it means that you are dehydrated. You should stop and drink some water before you develop heat exhaustion. Skip the energy drinks! Water is the best choice and exactly what your body needs in order to stay hydrated. Carry a water bottle with you so that you can drink water while you are working out or being active. One advantage to carrying a water bottle is that it makes it easier to avoid dehydration. Another advantage is that it is a frugal way to do it. Pay for the water bottle once, fill it at home multiple times, and save the money you would have otherwise spent on drinks. Plan ahead for best results. Are you planning on exercising outside in hot weather tomorrow? Start preparing your body for it today. Drink plenty of water the day before you exercise (or spend a lot of time outdoors being active). Drink water the hour before you go, and continue to drink water as you exercise (or attend an event). Live Science notes that water is the best choice in order to provide dehydration. However, they also point out that tea, coffee, juices, milk, and soup can count towards the amount of water you need in order to stay hydrated. Fruits and vegetables can provide your body with some water, and some nutrients. Spending time outdoors, in the heat, at a festival can be fun. It would be wise to avoid drinking alcohol while you are there. Alcohol is extremely dehydrating. If you drink alcohol, you have to be extra careful about making sure you also drink enough water to stay safely hydrated. Summer is filled with plenty of things to do outdoors. That fun can turn to pain very quickly if you choose not to wear some kind of sunscreen on exposed skin. This is one situation where the things you don’t know – about sunscreen – can actually hurt you. Here are a few myths about sunscreen that have been debunked. There is a good reason why people associate sunscreen with the beach. People tend to use it on days when they are planning to be outside, on the beach, for hours. It is true that sunscreen is a good thing to wear at the beach. That being said, sunscreen isn’t only for beach days. The main purpose of sunscreen isn’t to block “the sun” but to block UV light. Ultraviolet light is around all the time. People should be wearing sunscreen on exposed skin even on cloudy or rainy days. This is another myth. In reality, you won’t be able to find a sunscreen that is going to block 100% of UV rays. This doesn’t mean you should skip the sunscreen. Instead, it means you need to remember to reapply it. The American Academy of Dermatology says you should make sure the label on your sunscreen says three things: “broad spectrum”, “SPF 30” (or higher), and “water resistant”. 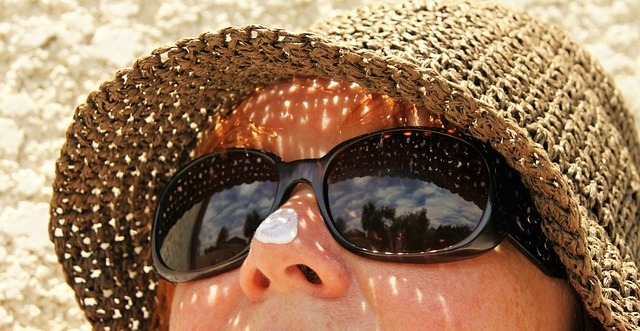 Sunscreen that says “broad spectrum” can protect from both UVA rays and UVB rays. It can’t block 100% of them, but is still recommended for use. Sunscreen provides you with a certain amount of protection from the sun’s rays. It isn’t, however, the only way to block the sun. Additional options include: sunglasses, hats with large brims, and clothing. You can also sit under an umbrella while you are at the beach, and seek out shade while enjoying other outdoor activities. Huffington Post points out that there is no good way to test SPF levels on the sunscreen that you made at home from a recipe you found online. The FDA has very rigorous regulations on sunscreen. The purpose is to make sure that the label on the bottle matches the sun protection that the product provides. You cannot know, for certain, that your homemade sunscreen is effective at blocking UV rays. You also aren’t going to be able to mix the ingredients as well as the companies that make sunscreen are able to do. An uneven mixture could result in a bad sunburn! What Does the Word “Natural” Actually Mean? 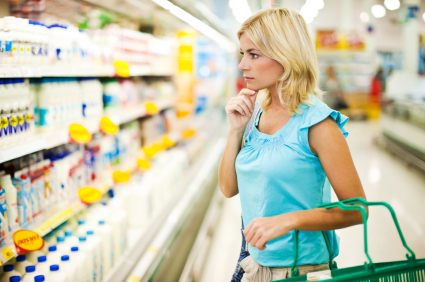 Many of us have become very discerning about the types of food that we will buy and feed to our families. We avoid processed foods and seek out the natural ones. But, what does “natural” actually mean? The answer to that question is more complex than you may think. In general, we all know what the word natural means. The word brings up concepts of health, cleanliness, and nutrition. Dictionary.com has several different definitions for the word “natural”. One of them says: existing in or formed by nature (as opposed to artificial). When we see the word “natural” on a package of food, we automatically think that it means the food is, well, healthy and good for us. In reality, the word “natural”, when used on a food label, doesn’t mean as much as you might have hoped. It continues with more information that people should be aware of. It notes that the FDA has not developed a definition for use of the term natural or its derivatives. The FDA doesn’t object to use of the word “natural” if the food doesn’t contain added color, artificial flavors, or synthetic substances. US News points out that foods that have a “natural” label can contain “added sugar, trans fats, and genetically modified ingredients or GMOs”. In other words, you shouldn’t assume that a food that has been labeled with the word “natural” won’t have things in it that you are trying to avoid. One big difference between the word “natural” and the word “organic” on a food label is the regulation involved with the word “organic”. Foods that truly are organic will have a sticker on them that says USDA Organic. If the sticker isn’t there – the food isn’t really organic.